Recognizing not just the globalization of innovation, but the interconnectivity of the creative geniuses behind it, Jonathan knows that a new-age IP firm must be just as dynamic as its clients. Reflecting this necessary characteristic, Jonathan is building the firm through high-level talent acquisition, effective technology investments, and creative service offerings to support not just today’s clients, but also future consumers of legal excellence. A central ideal permeating all decision making is Jonathan’s core belief that great success ultimately springs from trusted personal relationships between people of different backgrounds working toward shared goals in a global market. This mindset drives his commitment to developing direct, long-term relationships with clients and colleagues in European and Asian markets as well as domestic. In addition to his active leadership of the firm, Jonathan is committed to supporting organizations that promote healthy international innovation and trade. He is a leadership member of the German-American Business Council, a Vice-Chair of the Global Series Committee of the Federal Circuit Bar Association, and a member of the Business Advisory Council to the Congressional Study Group on Germany, part of the United States Association of Former Members of Congress (CSGG). The CSGG in a non-partisan, non-advocacy organization that promotes legislative exchanges between the U.S. Congress and the German Bundestag. In these roles and others, he is routinely in Washington, D.C., and regularly travels to Berlin and other parts of Germany, not just for client meetings, but also for governmental and policy meetings. He also hosts an annual meeting at RP’s Washington, D.C. office, the Transatlantic IP Strategy Summit. 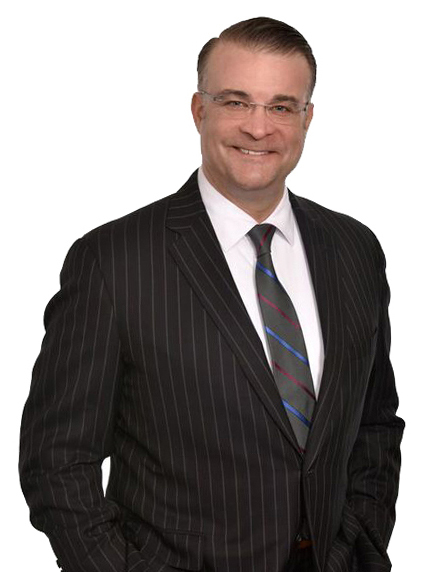 As to his specific areas of expertise, Jonathan focuses on the development and management of international commercialization plans and the comprehensive strategies that support those plans, including both IP procurement and enforcement. With a particular focus on transatlantic innovation trade, he has significant experience in dealing with the differences between the U.S. and European legal frameworks. This experience supports his active role in policy discussions relevant to improving IP laws with the objective of lowering trade barriers between jurisdictions having mutual interests in fostering improved development and commercialization of innovation. In addition, he has specific experience in business management and risk-avoidance, as well as concomitant licensing and transactions. More specifically, he has developed sophisticated and cost-effective global protection strategies, IP business management plans, opinion strategies, risk-avoidance tactics, and general IP planning and portfolio development frameworks. Features of this work over the past 20 years include providing trial testimony on written opinions which has led to successful outcomes, and the strategic use of tools to minimize litigation exposure, such as post-grant PTO proceedings. The use of inter partes review has become an increasingly important aspect of any IP strategy, and Jonathan is active not only with IPR proceedings, but also in discussions for legislative changes to the IPR process. After graduating with his B.S. in Chemical Engineering, With Distinction, from Penn State University, he worked as an engineer for Merck & Co., Inc. This was a natural career path after receiving, in 1991, the Merck-Penn State Academic Fellowship Award. Jonathan received his Juris Doctor from Villanova University School of Law where he was an Editor for the Sports & Entertainment Law Journal. In 2015, Jonathan was honored with the Outstanding Engineering Alumnus Award from the Pennsylvania State University College of Engineering. RP CEO to Participate in Artificial Intelligence Meeting Hosted by the American Institute for Contemporary German Studies in Washington, D.C.
Is There Another Chink In Your Patent Armor? German-American Business Council, Washington, D.C.